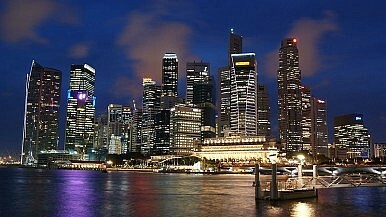 On 27 January, Singapore announced that it would establish a central agency under the Prime Minister’s Office to coordinate national cyber security efforts. The chief aim of the Cyber Security Agency (CSA), which will begin operating in April, will be to consolidate and coordinate the Singapore government’s cyber security capabilities across sectors. The idea is to enhance cooperation between the government and businesses as well as among critical industries including communications, banking, water and security. To streamline things and avoid overlap, the CSA will take over some of the functions of previous coordinating bodies and will also liaise with the defense ministry. The CSA is just the latest move Singapore has taken over the years to boost cyber security. By 2013, the Infocomm Development Authority – the country’s information technology regulator – was already unveiling its third five-year cyber security road map focused on safeguarding critical infrastructure and training cyber security professionals (the first road map was launched in 2005). That same year, Singapore also created a centralized cyber defense operations hub for its armed services and passed legislation to empower the government to respond to cyber threats. The city-state has also encouraged collaboration with other companies and organizations, with Boeing and Interpol both setting up cyber crime centers there last year. In Singapore’s view, keen attention to the cyber domain is critical. As a developed, highly-networked country which relies on its reputation for security and stability to serve as a hub for businesses and attract talent, it is particularly vulnerable to such attacks. That has become clear over the past few years, both from its own experience at home as well as events abroad. Domestically, Singapore has faced growing cyber threats targeting government and non-government entities, including 2013 attacks by the global hacker group “Anonymous” and assaults on the websites of the office of the prime minister and president by its own citizens. Wahab Yusoff, vice president for Southeast Asia at McAfee, estimates that Singapore’s economy loses around $1.25 billion to cyber criminals annually. Meanwhile, beyond its own borders, cyber attacks have also been on the rise. According to a survey by consulting firm PricewaterhouseCoopers and two U.S.-based magazines released last October, 2014 saw a record 42.8 million cyber attacks, up a record 48 percent from the previous year. High-profile incidents, including the attack on Hollywood studio Sony Pictures as well one closer to home on the national air carrier of neighboring Malaysia – which The Diplomat reported previously – are just the most visible manifestations of a growing trend. Minister for Communications and Information Yaacob Ibrahim, who will fill the new post of minister-in-charge of cyber security, says that the main point of the CSA to ensure that the various actors in the country “are all connected”. He is right. As The Diplomat has detailed, other Southeast Asian countries such as Indonesia are also beginning to recognize the value of coordination and are forming their own national cyber agencies. ASEAN, too, has recently been stepping up its efforts against cyber crime as it prepares to usher in an ASEAN Community at the end of the 2015. As national capabilities improve and regional efforts accelerate, the hope is the grouping can gradually get down to creating a more resilient cyber security regime across Southeast Asia as experts have been urging for years. Singapore’s Cyber Challenge in the Spotlight With Health System AttackWhat’s Behind Singapore’s New Defense Budget Numbers?Singapore’s War on Fake News in the Spotlight with New CommitteeJapan, Singapore Sign New Cyber PactWhat's in the New Singapore-Germany Cyber Pact?